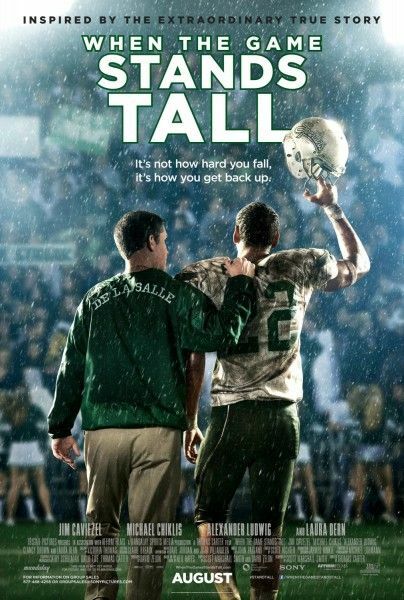 Based on the true story of the longest winning streak in high-school football, When The Game Stands Tall focuses on how the historic team deals with loss both professional and personal. Anchoring the team-side of the film, young actors Alexander Ludwig and Ser’Darius Blain do much of the emotional heavy lifting, Blain as a former star-player struggling to move on & Ludwig as the current running back whose personal life threatens to derail his high-school career. It’s a film with just as many tears as snaps – and both Ludwig & Blain are just as convincing in the hard-hitting football scenes as they are in the off-the-field personal drama. In the following interview with Ludwig and Blain, the duo discuss getting to the heart of their many emotionally raw scenes, the intense football training process and their various upcoming projects (for Ludwig – the 3rd season of Vikings & for Blain – the docudrama Bolden, based on Jazz musician Buddy Bolden’s life). For the full interview, hit the jump. When the Game Stands Tall is currently in theaters everywhere. How long did Ludwig and Blain train for? What football exercises did the duo have to learn? What is the preparation process for getting into the heavy emotional scenes?